Will you be learning about deserts this year? Grab this Free Desert Animals Learning Pack to add to your studies! This printable pack contains over 70 pages of fun activities focusing on animals that live in the desert. 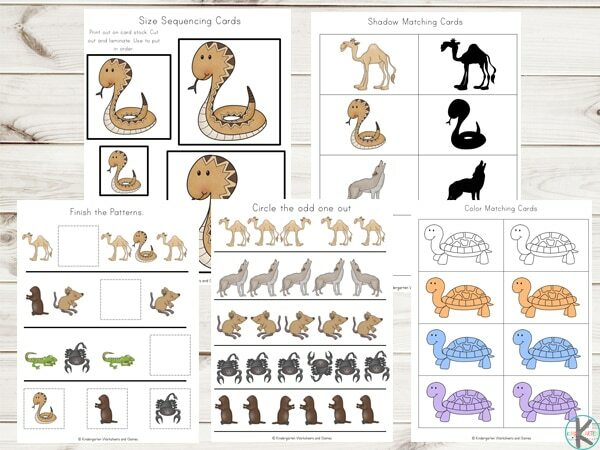 There are eight animals that are focused on in this printable pack: the camel, the scorpion, the tortoise, the mouse, the rattlesnake, the lizard, the gopher and the coyote.